CMS Says: Yes, all new hires are potentially eligible. It does not matter what type of employee they are, salaried or exempt, full-time or part-time, or even level of employee. New hires can qualify from entry level to the boardroom depending on the target group they may fall into. 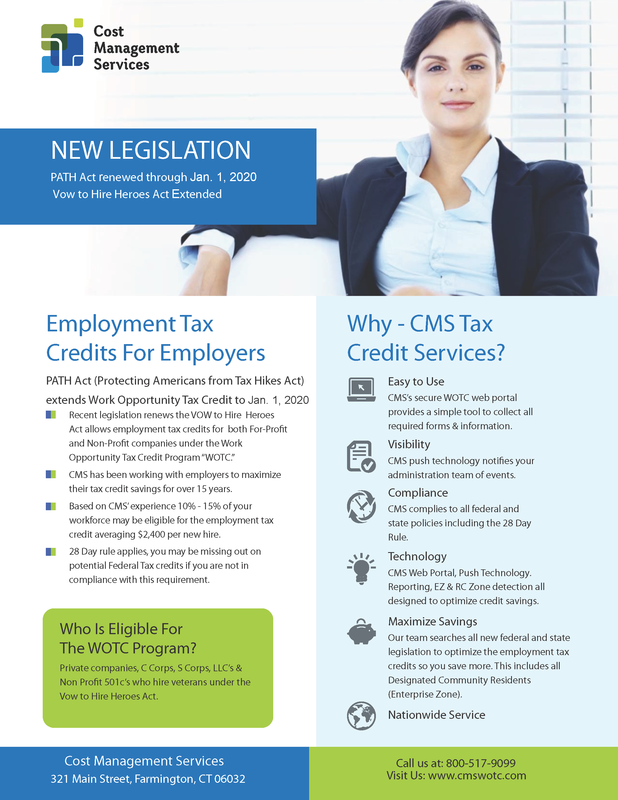 This entry was posted in WOTC News, WOTC Questions and tagged salaried/exempt employees are eligible for WOTC, Work Opportunity Tax Credits, WOTC FAQ, wotc questions, WOTC Screening Service. Bookmark the permalink.